Eric manages projects to ensure employees get the information they need on time. He supports client projects with editorial strategy, writing, news development, portal maintenance and measurement. He works with clients, such as HumanGood, Ortho Clinical Diagnostics and Pharmavite. Prior to joining Davis & Company, Eric worked as a local editor for AOL Patch Media Corporation. He was responsible for maintaining multiple hyper-local news websites by reporting local stories, conducting interviews, writing, editing, photography and video production. 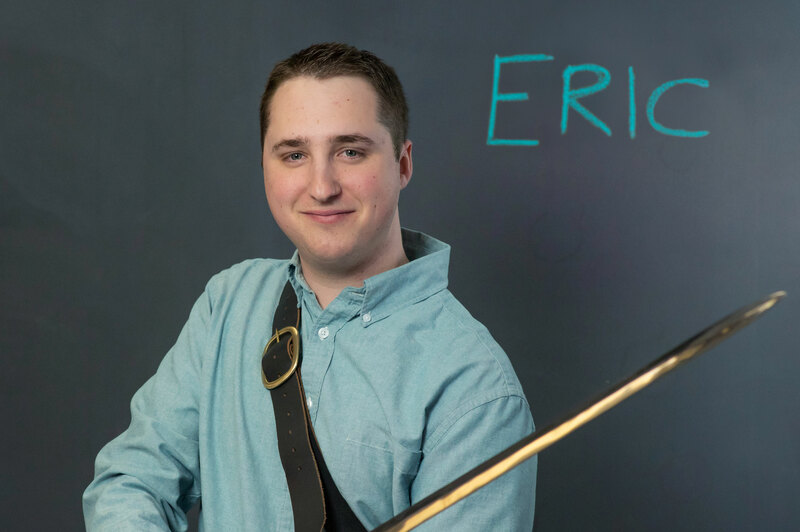 Eric holds a Bachelor of Arts in journalism from Rowan University and a Master of Arts in media and communications from Pace University. When two companies merged, the new organization looked to us to help unify employees and promote a new culture. I am inspired by people who do what they love and love what they do. I whole-heartedly believe if you choose a job you love, you will never work a day in your life. I have a passion for building connections through storytelling. Stories are just as important today as they were before the written word. It’s been a tried and true method of communication since 1500 BC. I’d be a full-time fiction writer if it was economically feasible. I write best in absolute silence, but like to listen to long jams by the Grateful Dead when doing other types of work. Stepping away from it and reflecting while doing another task. Ironically, I do my best thinking when I can’t write it down—like in the shower or while driving. I took an unforgettable Mediterranean cruise with my family from Rome to Messina, Sicily; Kusadasi, Turkey and Crete, Greece. I will never forget the spectacular sights, the inspiring history or the incredible food! I love the outdoors, whether it’s hiking, kayaking or binge watching nature documentaries. What can you do that most others can’t? I can hum and whistle at the same time. I could watch The Lord of the Rings trilogy endlessly. Luckily, they practically are. If you could live inside a television show, which would it be? Game of Thrones (although the survival rate is not too promising).